Do you really think the War in Iraq and its relationship to oil is that simple? When will the public demand the real truth from our government officials? There is so much misinformation available today it is scary. 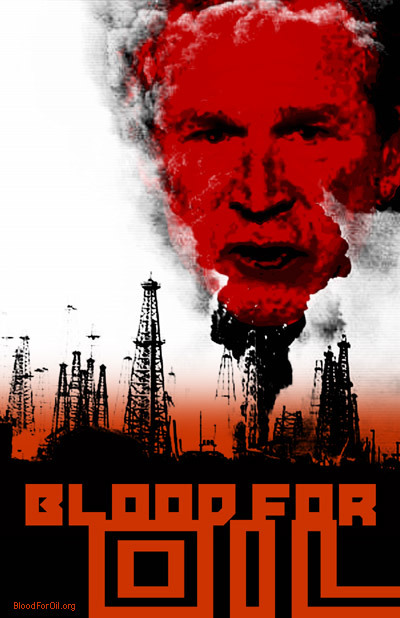 Some are naive enough to think that the war in Iraq is simply about oil! Well, maybe it was for France, Germany, and Russia. Those countries signed lucrative oil deals with Saddam Hussein not too long before the U.S. led invasion of Iraq to oust that despotic, brutal, murdering dictator in an effort to help stabilize the Middle East region. No wonder they didn’t support U.S. actions … it seems that oil before principles … was their watchword! The U.S. does consume something like 14 million barrels per day. 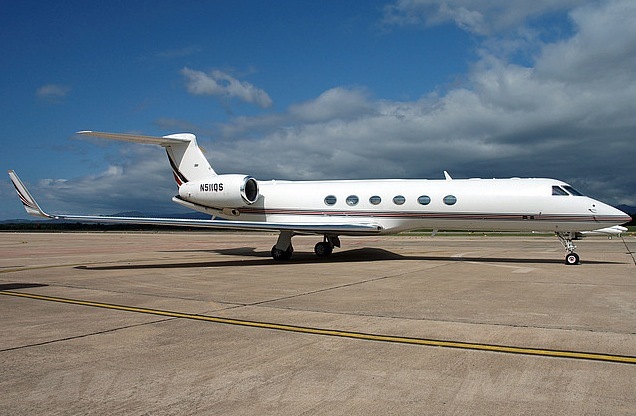 As Americans, we like our SUVs, our four-wheel-drives, and our liberal elite sure do like their private jets … despite the fact that doing so directly contradicts their politically correct lip service to the “global warming” problem! Senator Hillary Clinton is busily doing her share … contributing to the global warming problem, and not just through her campaign rhetoric … even if it is just a lot of hot air. Liberal environmentalists love chastise jet travelers because (according to them) the CO2 emitted by jets at high altitude is supposed to have a more rapid, negative impact on the climate than the same amount of CO2 emitted at sea level. This “fact” is often used as a justification for liberal elitist claims that we “common people” should be riding on trains … instead of flying home to see the family at Christmas. However, despite the supposed horrors of global warming, Senator Hillary is still spending a great bit of time running around on private jets, as she campaigns for her version of a new Clinton Presidency, thus making her own, very real contributions to the global warming issue. Adding to the irony, Senator Hillary spends a large part of her campaign time railing against corporate largess and executive pay scales. So, just to get this straight in my mind … Hillary Clinton is against “corporate largess” … except for case of corporate largess involving corporate buddies of the Clinton’s … who are allowing their corporate jets to be used by Hillary so she can jet around the country…complaining about corporate largess and global warming. Something is rotten in Denmark … me thinks!! There is, however, a humorous part to this story. One of her corporate supporters is being sued by the corporation’s shareholders for wasting millions of dollars of corporate funds, including $900,000 spent on flying around … guess who … Bill and Hillary Clinton. While all this is very interesting, however, the real truth is that oil plays very little role in the American War in Iraq, or global warming for that matter. Did you know that the top source for crude oil imports to the U.S. is Canada at 1.944 million barrels per day. And … while Saudi Arabia is clearly second at 1.479 million barrels per day, Mexico comes third at 1.198 million barrels per day), Nigeria comes in fourth at 1.163 million barrels per day, and Venezuela comes in fifth at 1.135 million barrels per day. Of the top five exporters of crude oil to the U.S. …. only one is a Middle Eastern nation. Or … to put it another way, of the top five exporters of crude oil to the U.S., only about 20% is imported from the Middle East. By the way, none of the oil the U.S. imports comes from Iraq! Personally, I would like to see all imports of crude oil from the Middle East (and Venezuela … at least while Hugo Chavez is in charge) to the U.S. stopped … why don’t we instead buy more crude oil from Canada, Mexico, or even Nigeria. It seems silly to support the very terrorists who trying to blow us off the face of the earth! Are our Arab allies really our allies … or are we being duped into financing the payments being made to the insurgents we are fighting in Iraq and Afghanistan. Hmmmmmmm? Quick to act, but not to think … our non-all-seeing democratic leadership is declaring a new direction in energy policy. The House, on Saturday, edged toward passing $16 billion in taxes on oil companies and offering tax breaks and incentives for renewable energy and conservation efforts. Will someone please explain to me how raising the taxes on oil companies by $16 billion going to lower the cost of gas or reduce our dependency on crude oil form the Middle East? I am not surprised … can you say “nest of vipers?” I knew you could! 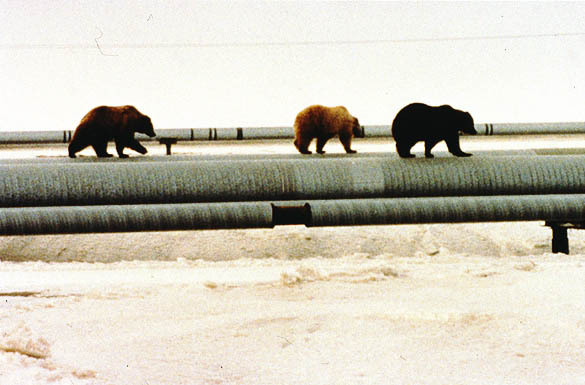 Would drilling for oil in an Alaskan wildlife refuge help ease our dependency on oil imports? With oil prices nearing last year’s record highs, President Bush renewed his call for Congress to authorize oil exploration in Alaska’s largest wildlife refuge as part of a broader energy bill. Bush urged lawmakers to pass the energy bill that has stalled in Congress since the beginning of his first term, saying it would help wean the United States away from overseas sources of crude. It might if that oil was used for that purpose. And … we are talking about an area that, in scale, is like a postage stamp in relation to the wildlife refuge. Also … modern oil drilling methods are vastly improved over the leaky oil rigs often visualized by those arguing against the idea of drilling in Alaska. The negative environmental impact to Alaskan wildlife is, in all honesty, essentially zero! But is oil drilling in Alaska economically viable as a means to decrease U.S. dependency on foreign oil? Many experts say that Alaskan oil is simply to expensive logistically to transport by ship, truck, or pipeline to the continental U.S., and that it would make much more sense to sell Alaskan oil to Japan, and intead increase our imports of crude oil from Canada and Mexico. President Bush has called on Congress to back the development of “clean coal” technology, which would allow broader use of the most abundant U.S. energy source with less environmental damage; encourage the construction of new nuclear power plants; and overhaul aging electrical grids and pipeline networks. Sounds like a pretty good plan to me … why the opposition Pelosi? … Reid? … could it simply be partisanship politics?